You could look back on this little mini-season and perceive some rocky moments along the way, most notably the poor dialogue, repetitive characters (just how many rednecks does the cast require? ), sketchily drawn characters (basically, everyone who isn’t Rick, Lori, Shane, Andrea and, maybe, Dale), and questionable pacing. On the other hand, there were plenty of things to be excited about (which is why so many are excited about the show), such as the fine cast, beautiful cinematography, sharp writing (most of the time) and the tendency to induce held breath. We can’t tell you how many times we didn’t realize until the commercial break that we’d been holding our breath without realizing it. But the best thing the show’s creators did in the limited time they had to set up their story was establish the major themes of the show. Bear in mind that, with television writing, “themes” aren’t always evident and on many shows it seems that they don’t exist at all. It’s a rare adventure series that m anages the feat; Lost being most notable for its timeless (and very consistently referenced) themes of good vs. evil and the power of redemption. The major theme, at least so far, is hope. It’s been referenced constantly, both overtly and obliquely, but this episode essentially came right out and hit you over the head with it (not in a bad way). Another major theme (and one you’ll find in any decent apocalyptic fiction) is about what happens to people when there are only a handful of them left and how both alliances and conflicts form that never would have seen the light of day pre-end of the world. 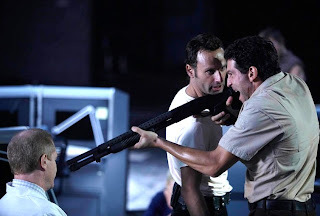 Nothing summed this up better and more economically than the standoff between Rick and Jenner; between hope and the lack of it; between two men (scientist and small town sheriff) whose paths never would have crossed in the old world and even if they had, they probably would have had no time or use for each other. But if you really want to delve deeper; if you really want to get to the heart of any story of hope, then deep down it’s about intellect vs. emotions and, perhaps tragically, in this world, you need to jettison the former so the latter can sustain your ability to still feel hopeful. Rick is not an intellectual by any stretch. He’s obviously not dumb, but prior to the apocalypse, we imagine he wasn’t particularly intellectually curious. 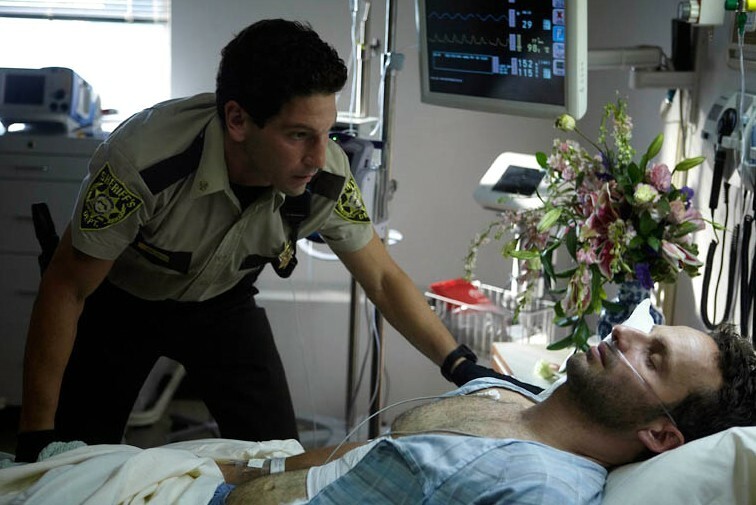 In fact, going back to his introductory scene in the car with Shane before he got shot and wound up in a coma, we can see that Rick is a man whose emotions are deeply felt. In our world, deeply emotional people who don’t have a lot of intellectual curiosity tend to be, well, battered a bit by the world, finding it difficult to navigate. Come the apocalypse, those people are going to be the heroes and the leaders because they’re the only ones left who have the ability to hope for something better. On the flipside of that are the people like Jenner; people who have the ability to assess situations clinically; who can gather and collate information and come to conclusions. In a world’s end scenario, they’re are the ones you want to get far away from (after you pump them for information) because they’re the ones who don’t shy away from telling you just how hopeless the situation really is. In the end, Jenner couldn’t handle it. It was only Rick’s refusal to give in to the situation; his refusal to make the “smart” choice, that once again saved the group. But what are we to make of his drunken admission to Jenner that he knew it was only a matter of time before they all died? “I had to keep hope alive,” he explains after Jenner exposed him. Even when he feels no hope, it’s important to him that the idea of hope still exists, that even if he doesn’t possess it, it’s important that the people he’s leading still hold on to some small shard of it to keep themselves going. A zombified world clearly turns most conventional wisdom on its head but non moreso than the inversion of an old axiom: Where there is hope, there is life. Of course, you could argue (quite effectively) that anyone feeling hopeful among the walking dead is probably a little delusional. But then again, isn’t that what hope is? A form of delusion? The persistent idea that, with no evidence or reason to believe it, things will get better. Having said all that, this was still a somewhat weak way to end a season. Granted, it’s not really a season as we normally define the word in relation to television. It’s likely, given the vagaries of television production, the creators had no idea if the show would be picked up for a second season at the time, but we would have thought that would cause them to really ramp it up and go out with a bang. Granted, that was a big explosion and the episode definitely had some great character moments, but the “42 minutes of teeth-grinding tension” approach in earlier episodes was greatly diminished here as we watched the cast get drunk, take showers, and pad around in their pajamas. Oh, and also to commit sexual assault. Shane’s really losing it, but what makes him so interesting is the stubborn refusal to make the character a villain. 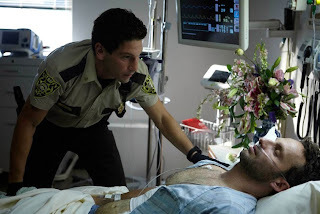 Even after his horrible behavior toward Lori, we still saw how devoted a friend he was to Rick in the opening flashback and how Lori’s anger has been misplaced. 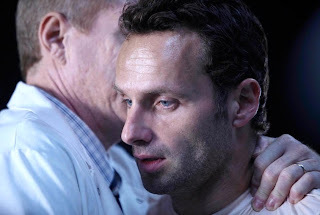 He really did think Rick was dead, he really did try to help him, and he’s right to point out that getting her out of there probably saved her life and her son’s. That doesn’t make him a good guy, obviously, but we always like an antagonist painted in shades of grey. Without giving anything away about the comic series this show is based on, we can tell you that the zombies are only a backdrop behind the human drama playing itself out. What’s appealing about the story is that quite often, the drama is mundane, having more to do with family and interpersonal relationships rather than Big Philosophical Questions about life, death, and hope. After Shane tried to attack her and she was left alone in the rec room, Lori really broke down and we were struck by how terrifying her predicament is. She has a potentially violent man romantically obsessed with her and he happens to be the best friend of her husband. Typical soap opera plot except that everyone involved in the drama happens to be one of the last people left on earth, giving it an urgency and sense of danger it would never have if it was set in the real world. In other words, we really felt her hopelessness in that scene. Andrea also lost any sense of hope from the moment she put a bullet in her sister’s head. It took Dale to show her that she must still have some shred of it left, otherwise why would she agree to go with him? The same couldn’t be said about Jacqui, who apparently couldn’t take another step. We say “apparently” because unfortunately, we knew almost nothing about her character, making her death something of a “Well, that happened” kind of moment. Jenner’s death was actually more touching and affecting, simple because the actor was given something to work with. Jacqui’s been a red shirt from day one. To be honest, we were a little let down that a more prominent member of the group didn’t die this episode. That would have given the ending the emotional punch it kind of lacked. * “Spy the Lost Reference” just might be a good drinking game for the show. This week we got the traumatized guy living in the underground bunker with nothing but a countdown clock to keep him company who then blows the whole hatch thing up. * The MRI death scene was oddly affecting, wasn’t it? 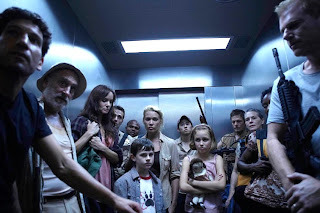 * There was a lot of rending of garments and gnashing of teeth online last week due to the show veering way off-course from the source material and having the survivors visit the CDC. The consensus seemed to be that the show shouldn’t try and “explain” the zombies at this point in the story (if ever). But what did we learn, really? 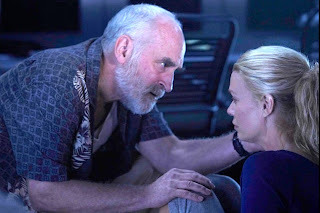 Jenner admitted that he has no idea what causes it, and his description of the walkers, “Just a shell driven by mindless instinct,” well who didn’t know that just by looking at them? The side-trip to the CDC wasn’t set up to explain anything; it was a vehicle for the writers to solidify the major theme of the show: Choosing to continue on is the ultimate act of hope. * A general request to keep your comments spoiler-free if you’ve read the books. We don’t know how much the show is going to stick to its source material but for all the deviations from it, there’s little that actually contradicts it, which leads us to think that they might be sticking closer to the material than some people assumed after the CDC detour.